Esterline Racal Acoustics (ERA) is using the successes of 2009 to act as a springboard into 2010. The new Frontier product range is spawning a number of variants in the dismounted infantry In The Ear (ITE) headset system arena to address an ever growing set of requirements. The basic system is being enhanced to provide hearing protection, communications and situational awareness on an ever expanding range of radio types with an ever increasing number of OEM’s and End Users. ERA has taken the form factor of the Frontier1000 and developed new versions for other programmes with other radio interfaces. The addition of Press to Talk (PTT) capability, powering from radios and dual channel has provided the capability to deliver compatible solutions elsewhere. Significant interest from programmes in the US, OEM’s and End Users in Europe is building on the forecast daily. It is not only for new product opportunities, Racal’s innovative, pragmatic approach is winning market share from “first to market” competition. “It is interesting to note the number of End Users, Future Soldier programmes and OEM’s who were believed to have made their choice on ITE headsets now requesting Frontier product variants to assess,” Rist said. 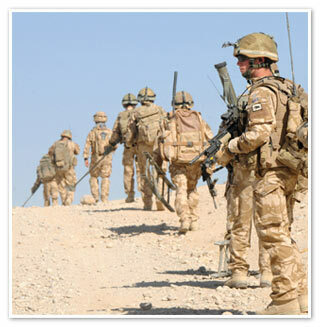 ERA has also proven its ability to supply the British Forces, when deploying to Afghanistan, with custom ear moulds. This is a service that Racal is launching on a broader basis. “We are able to support trials and initial small volume deployments in Europe, the US and Australasia. We are looking to push on in these territories to generate enough interest in this capability to set up a production presence that can deliver in volume,” Rist explained. “We want to replicate the success with the UK MoD on an international scale.” This will include local impression taking capability and the training of End User medical staff to enable ear impressions to be taken in the field. “The plan is for all of our customers to have the easiest access to custom ear mould capability whenever and wherever they need it. Once up and running, they will be able to support any new requirements in-theatre locally with the custom ear moulds being available a few weeks after being taken,” Rist explained. Having said that, Racal remains committed to providing alternative capability, like foam ear plugs and flanged silicon ear plugs, to offer our customers a wide range of compatible options for the Frontier product range. In addition, they derive their power for the “talk through” feature from the radio, so the need to replace a battery periodically is removed. This is not the end of the Frontier product range; more variants are planned during 2010. Look out for developments in the addition of other headset types and supporting elements too. The Frontier1400 and Frontier1600 effectively deliver dual channel communications from two single or a dual channel radio source. This provides the squad or platoon leader with the ability to support a squad network and a command network. Combining clear radio communications with hearing protection and situational awareness is key to improving operational communications in the Squad / Platoon leaders’ role. “The operational scenario for the squad commander could have one channel for his squad, and a second channel for an intra-squad communications and a Platoon network that supports the command channel. However, when he gets into the back of a vehicle, he also needs to maintain communications with the vehicle crew and to use the vehicle’s radio to communicate with his command structure. For this type of extended application, ERA recognises the need to add yet more capability and is actively working on solutions with enhanced capability” Rist commented. In adding the CobraPlus (dual sided Cobra) and the Passive Raptor to its product portfolio, ERA is looking to provide a range of flexibility and alternatives to suit a range of scenarios and user types. The CobraPlus and the Passive Raptor both provide binaural communications (one channel in each ear) for the two single or dual channel radio applications. 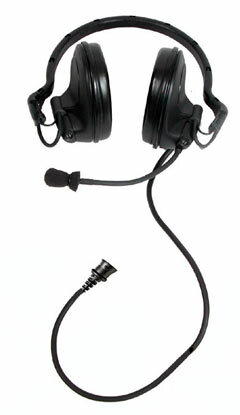 The Passive Raptor style headset is more popular with vehicle based applications and is typically connected to an intercom rather than a radio, although connectivity to the vast majority of soldier radios is possible. The combination of a choice of headsets and enhanced capability in a switchbox is the next step forward. So what does the switchbox need to support? In a Squad / Platoon leader mounted role there could be the need to support up to 4 Push to Talk options (radio 1, radio2, Intercom and vehicle radio) and situational awareness will need to be supported. There may also be a requirement to use the combination in high noise vehicles, like tracked APCs, so Active Noise Reduction may feature. In addition, various powering options will need to be taken into account so this product has all the makings of being big, heavy and complex. That’s where ERA and its design and market expertise step in. Renowned for innovative approaches, ERA is targeting a small, easy to use solution that delivers on all fronts.